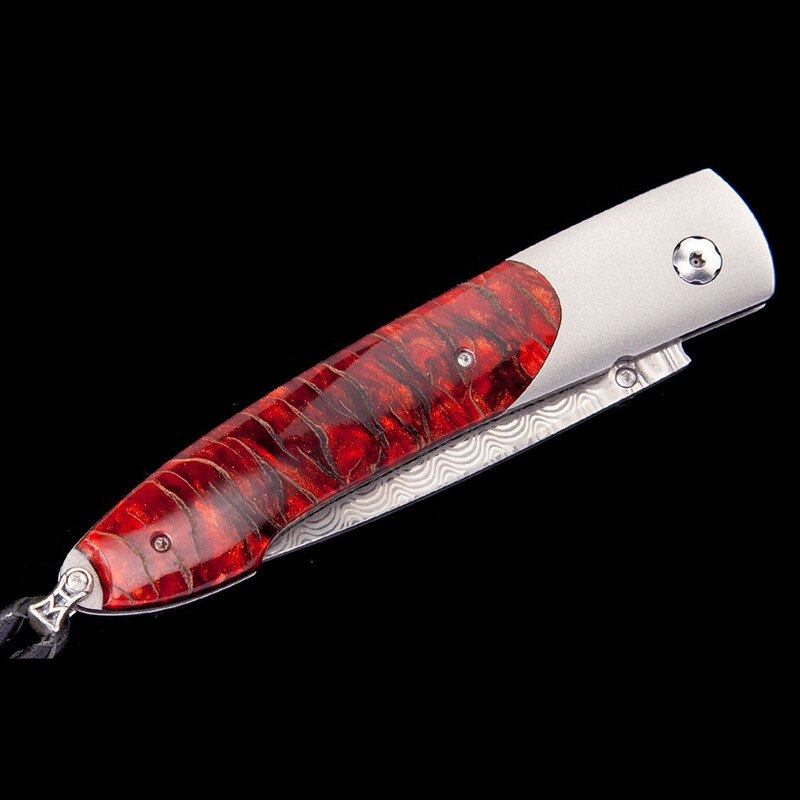 You'll be proud to wear and use this sleek, elegant and refined William Henry pocket knife from the Lancet collection. Dubbed Scarlet Pine, it features a light, resilient aerospace-grade titanium frame with a Norway Blue Spruce Pine cone inlay. 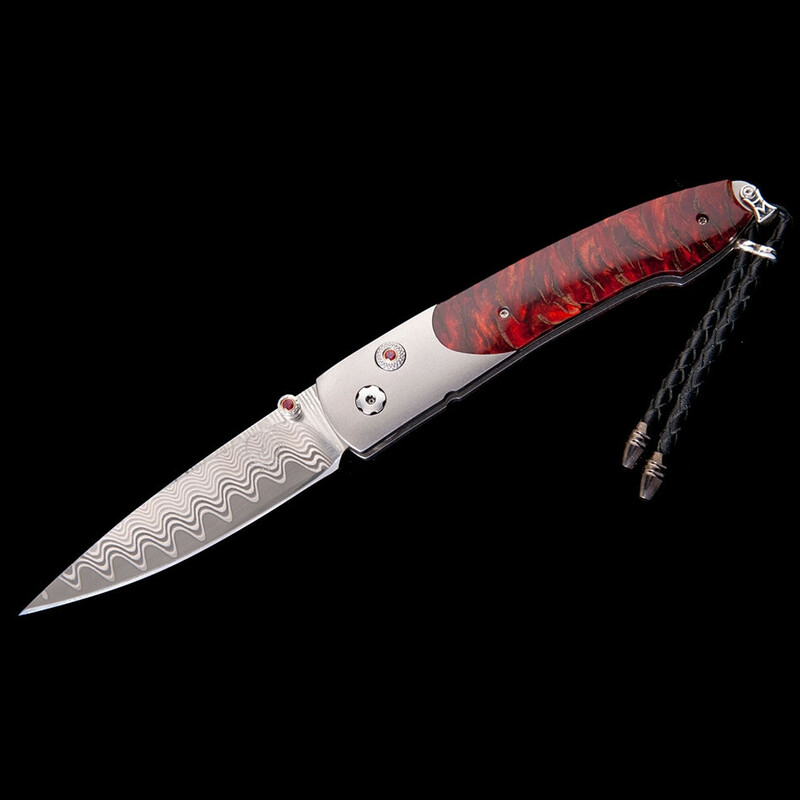 The blade is "Wave" Damascus steel, while the one-hand button lock and thumb stud are set with Blazing Red topaz. 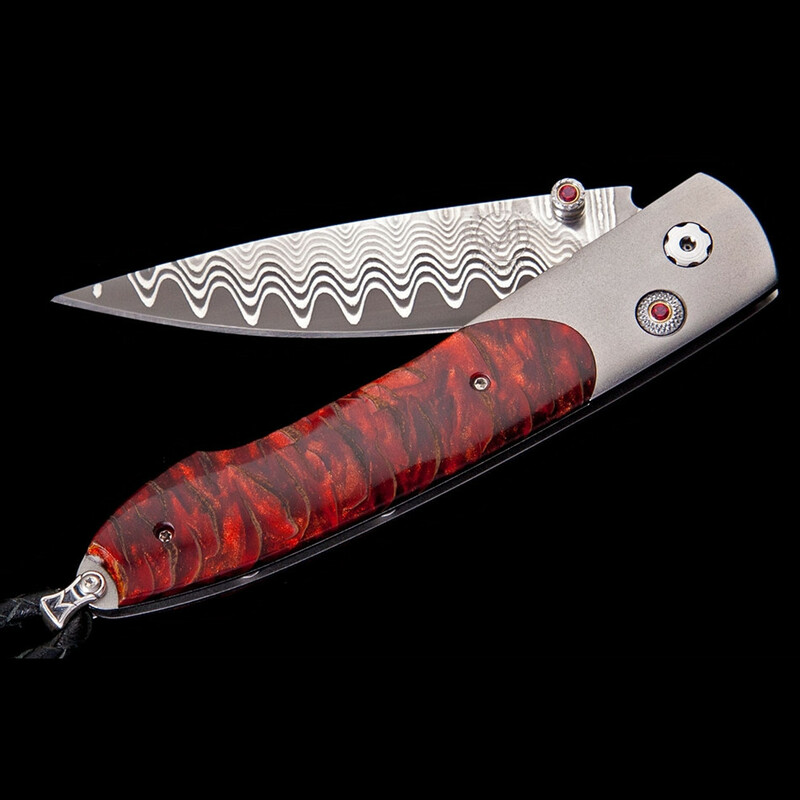 The folding knife is comfortable in the hand and easy on the eyes.